All October long, visit your local participating Panera bakery-cafe, purchase a Pink Ribbon Bagel and Panera will donate 10¢ of each bagel sold to benefit a local breast cancer charity. 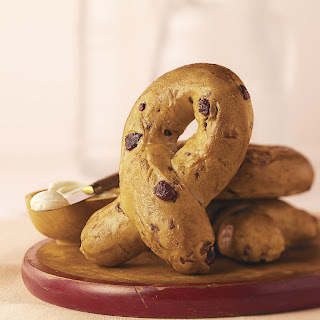 Pink Ribbon Bagels are available at Panera Bread company bakery-cafes only. Speak with the manger of your local participating bakery cafes for information about which charity will receive your donation. It's simply a delicious way to support a great cause.